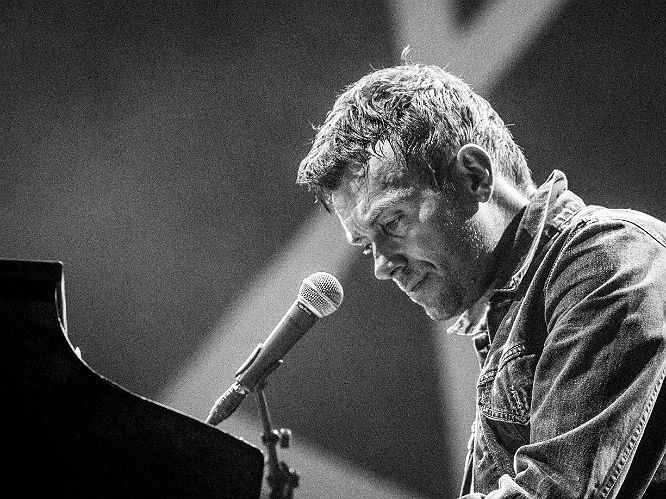 Today saw Damon Albarn pick up the Lifetime Achievement Award at the Ivor Novellos 2016, and we were there to see his long-time friend and Blur guitarist deliver a brilliant and moving speech about their relationship and ongoing collaboration. 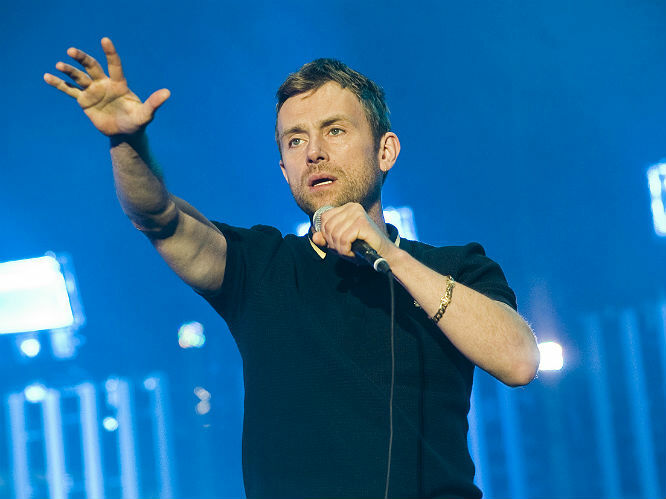 Other winners on the night included Bryan Adams, Simple Minds and James Bay, but the truth is that the highlight of the prestigious ceremony, celebrating songwriters, came when a rather overwhelmed and seemingly inebriated Albarn stood up to take his award - introduced wonderfully by Graham Coxon. 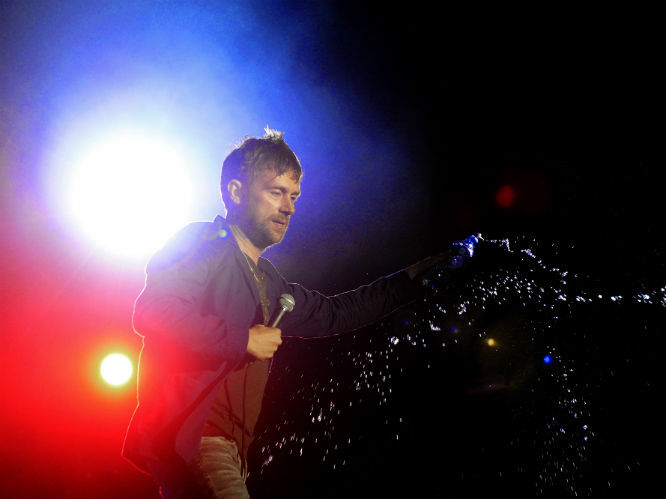 Known for their often fraught relationship, especially in years prior to Blur's recent reunion, his words marked a celebration of a long-lasting friendship, and artistic respect. "This award is a bit premature for him, but he's written about two lifetimes of work so far. The first time I saw him, he was shouting 'I've got a social disease' in a school as he gave a very energetic performance in a school assembly. I thought 'this boy's got some nerve'. He told me that I had crap shoes, but as you can see I got my own back today. "The second time he met me, he told me as the only sax player in school to play a sax solo. So I did, it was a good little song called 'when you meet a beautiful alien'. At this point, I'd never met anybody at the age of 13 to even attempt to write a song - but writing songs always seemed to come naturally to him. But that's not to say that he doesn't have a good work ethic. He's very disciplined, and he doesn't take it all for granted." 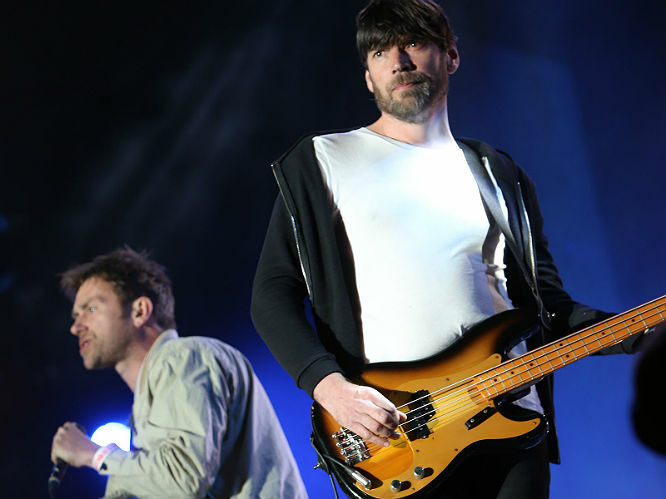 Coxon continued: "Our friendship and working relationship has been a bit like a pot plant - well, y'know a house plant. They need to be re-potted from time to time, and there's always a certain amount of anxiety concerning whether it will wither and die, but it never has and I think that house plant is doing pretty well right now. 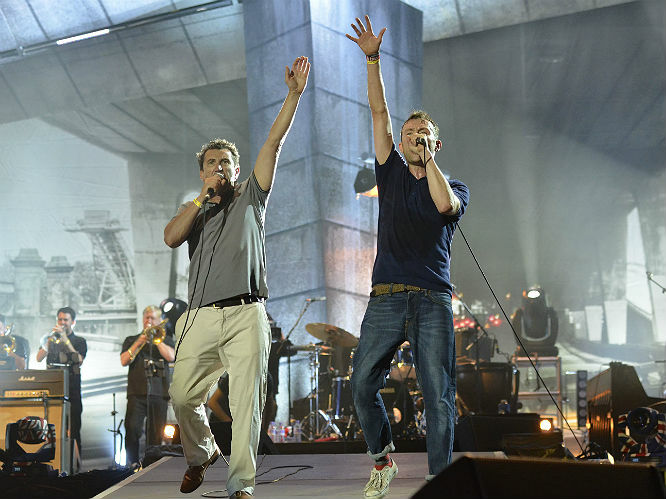 "He has written some of my favourite songs, and what's great about that is that I got to play on a lot of them. They always display the mischief of a mind that isn't interested in what's expected, but sees music and the world in general as something to process and use, and nothing is wasted. There you go, that's one of yours isn't it? 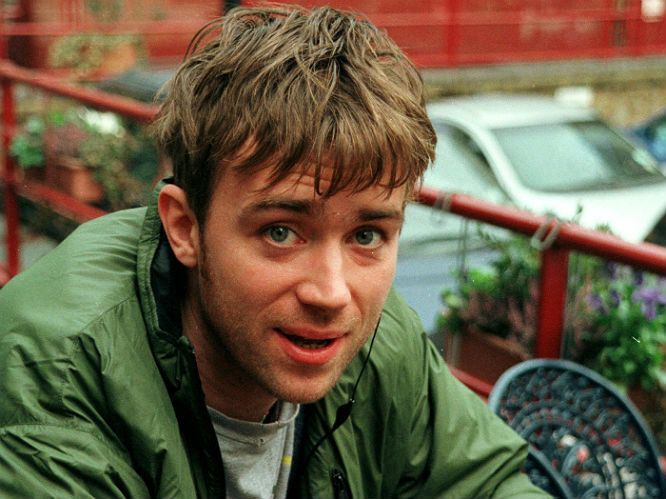 He added: "He is my really talented, horrifyingly honest, embarrassingly honest and ridiculously funny (although he doesn't always mean to be) best mate - Damon Albarn." 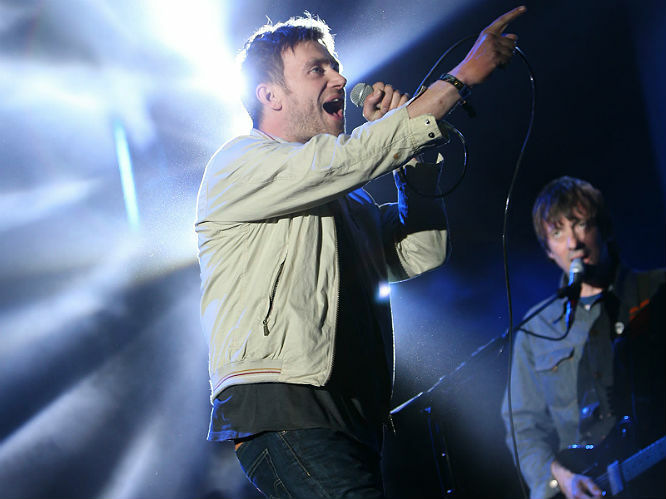 Speaking to Gigwise last year on whether or not there would be new material from Blur, drummer Dave Rowntree said: "The issue isn’t ‘shall we do material’, it’s ‘why should we do new material – why should we do anything?’ We all do this, but we all do loads of other things." He added: "We tend to do whatever seems most interesting at the time, The Magic Whip was interesting because we had a week off and we thought it would be fun to see how much new material we could do in a week. We're not really in a position now where we make plans for an album in 2017 and a tour in 2018. It doesn't work that way any more. If someone has an interesting idea and we're available then we'll do it." 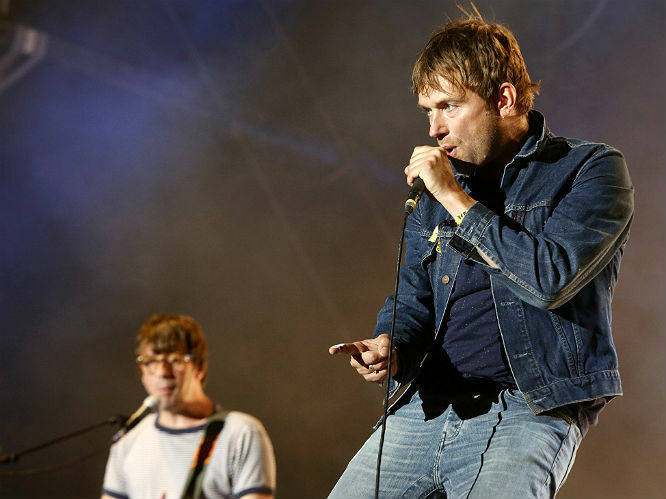 Blur released comeback album The Magic Whip last year - one of the best albums of 2015. 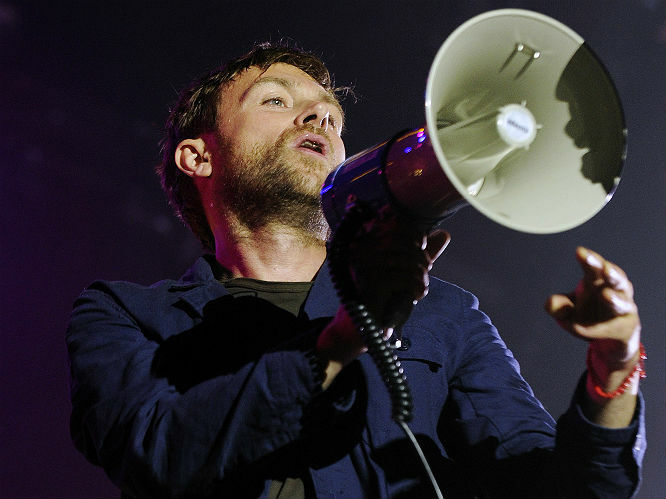 Meanwhile, Damon Albarn is currently working on a new Gorillaz album - which is said to feature Noel Gallagher. 14. 'For Tomorrow': The lead track from Modern Life Is Rubbish, written in reaction to a rather disastrous tour of the USA. Lost in a country of consumerism and grunge, the band fell on largely deaf ears. 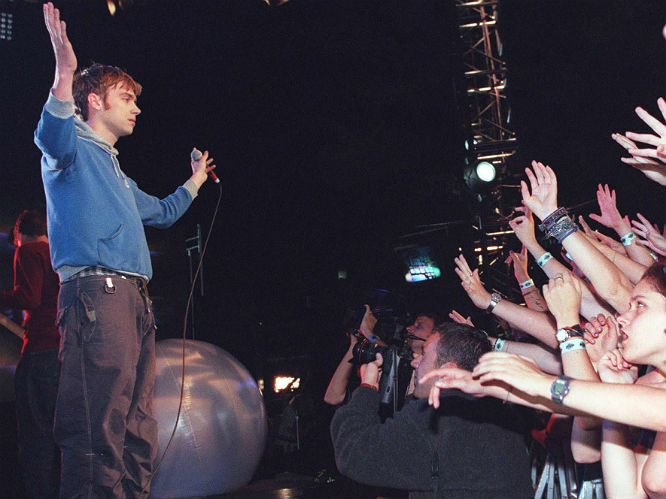 Albarn's response was this timeless tribute to British life, and the template for the Britpop movement that would follow. A jaunty and thought-provoking classic, worthy of its place in history. 13. 'Parklife': Probably the most automatic earworm of the 90s, forever cemented in the psyche of all indie-disco goers for the rest of time. It's also probably the only time that Phil Daniels will appear in a top ten single. 12. 'Under The Westway': With a smack of 'Whiter Shade Of Pale', but less in a psychedelic haze and firmly with its feet on the ground, as Albarn tender pines this love song to the sweet underbelly of London life. 11. 'Girls & Boys': Britpop takes to the dancefloor with this epoch-defining mirror to the Loaded laddish culture and drug-fuelled hedonistic decadence of the mid-90s of those FOLLOWING THE HERRRD DOWN TO GREEEECE....ON HOLIDAY. 10. 'Charmless Man': Described by Albarn as 'the end of Britpop, for us anyway' this Great Escape gem firmly plants a flag in where the band stood in the class war - with two fingers up to charmless toffs. 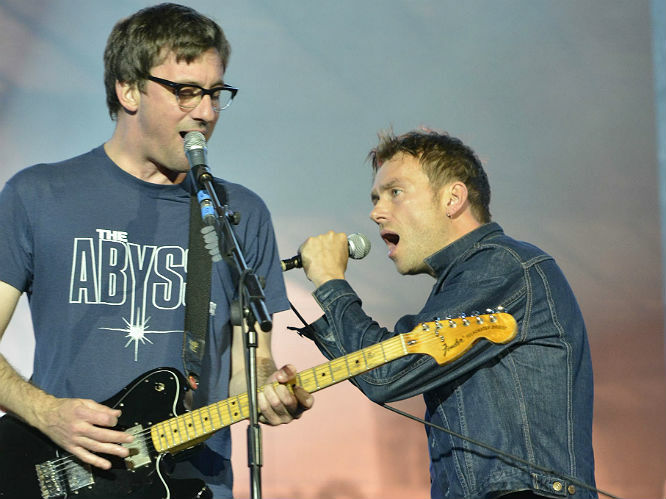 It's also another great marriage of Albarn's social commentary with Coxon's exquisite guitar riffery. 9. 'She's So High': Something of a novelty among their singles now, as it contains the 'baggy' sound that they (and the rest of the world) would soon abandon - but we love it for that curiosity. It's such fun. 8. 'Song 2': Their most explosive live track and arguably most recognisable single, 'Song 2' is the sound of this band abandoning Britpop and feeding America back to them on a plate. All together now: WOO-HOO. 7. 'This Is A Low': Parklife's beautiful centre-piece, this dreamy tale of slipping through misery to get carried away in the waterways and seas around Britain was inspired by the soothing side-effects of listening to The Shipping Forecast. Not only does it tingle the spine but also jerks the tears. 6. 'Beetlebum': A White Album Beatles' era blend of searing guitar and soaring anthemics, this cut from their self-titled effort was inpired by experiences with heroin and then-girlfriend, Justine Frischmann of Elastica - taking a torn up memory and building it into an almighty pop-rock behemoth. 5. 'Coffee & TV': Taking the mundanity of late 20th Century everyday life and turning it into a mini epic alt-rock ballad that shows Blur at the heigh of their matured grace and consistency . 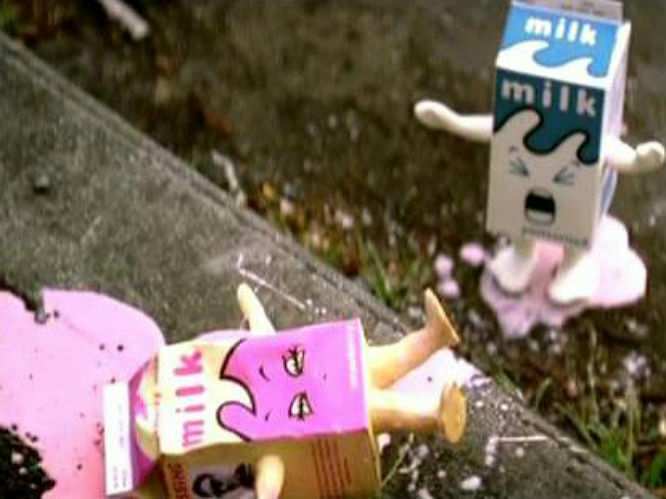 As if that wasn't reason enough to love it, it also gave us one of the most charming and iconic music videos of all time. 4. 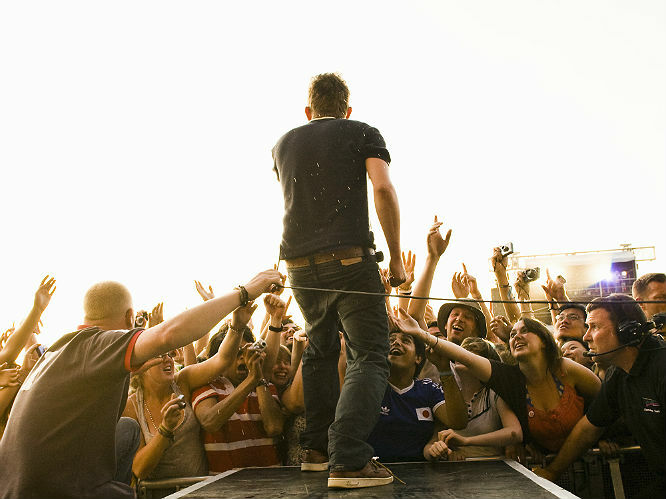 'No Distance Left To Run': Another one about Albarn's relationship with Justine, but this time showing the raw-nerved hopelessness and heartache of realising that something beautiful has run its course, and the painful acceptance of watching them move on. 3. 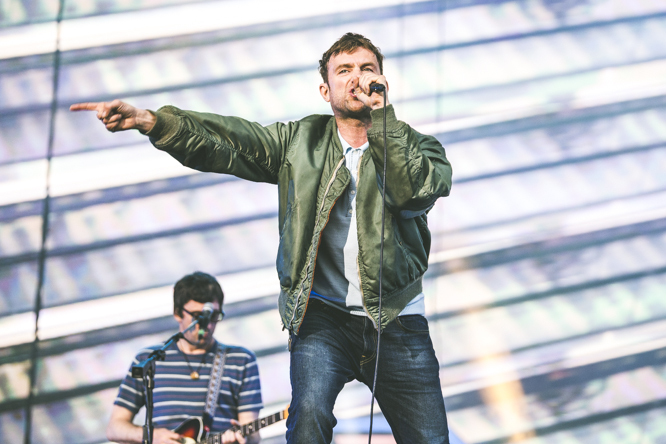 'Tender': More a hymn than an indie single, and letting the true power of Coxon and Albarn;s writing partnership shine with such amazing grace, this sentimental lullaby is about as life-affirming as it gets - and is sure to be a life-changing moment when they play it live this summer. 2. 'The Universal': Yes, the one off of those British Gas adverts, but also a cinematic sci-fi work of genius - showcasing the importance of each band member, and capturing that optimistic essence of 1990s Britain that yes, it really, really, really cloud happen. 1. 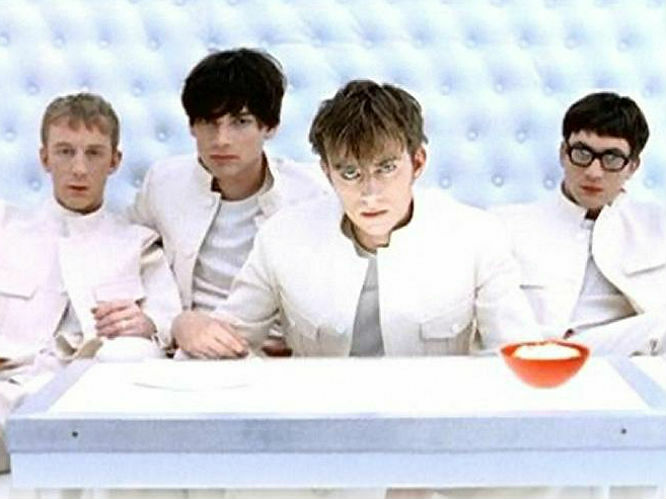 'Out Of Time': Lifted from the unfairly maligned Think Tank, this ranks as our favourite Blur cut because it shows what they can achieve when they really catch you off-guard and experiment. It's subtle, crooning minimalism seeming lightyears away from the loudmouthed arena-ready stomp of their more renowned work, but in stripping away all of the Britpop posturing, it lays bare the true beauty of their music and the real genius of Albarn's songwriting.